One of the oldest museums in the state of Rajasthan, the Albert Hall Museum is a fine mix of English and North Indian architecture. Built in honor of the Prince of Wales, the exquisite museum is situated in the Ram Niwas Garden, just outside the city wall. The marvelous Architecture of this museum has always influenced varied classical Indian styles, be it the Mughals of Persia or the royal Rajputs. Ever since Albert Hall is constructed, certain modifications have been made in its interiors. Following this, galleries at the ground floor of the museum have been completely reconstructed. These galleries depict the unique culture of the ancient tribes of Meenas, Bhils and Lohars of Rajasthan through antique dresses and jewelry. Besides, one can also ponder over the Phad paintings of Marwar placed in the other galleries of the Albert Hall Museum. 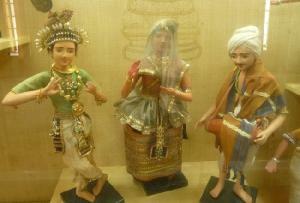 Similarly, the central gallery is completely devoted towards Rajasthani music and dance forms. As Albert Hall Museum is located in the beautiful Ram Niwas garden, one has the luxury to visit other attractions of the garden as well. Just opposite to the museum, lies one of the oldest zoos in India. It harbors varied species of animals and birds. Besides the zoo, Ravindra Rang Manch (theatre) is also an interesting site, in proximity to the Museum.